Shortly after iPhone 4 has released, it is reported that the new iPhone is not so good as we expected. The most obvious problem comes by iPhone 4 is its poor signal inception. Actually, from 3G to 4G, thus telecommunication technology is still not mature as it should be. Meanwhile, Skype phone has discovered and settled down the problem of multi-network long ago. 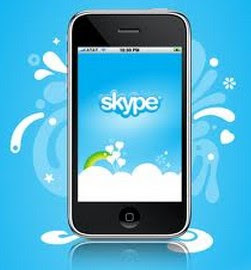 Thanks to the development of Skype, the cross communication between traditional telephone, mobile phone, Internet and WLAN has already been available to users by Skype phone. That is to say, no matter what kinds of network you use, you can contact with your friends with the phone. Furthermore, you don’t need to pay for the telephone expense with high expense. In most cases, we called it USB phone for its special function and features. In early times, the phone for Skype can only work with connecting to USB interface, named after this feature. Although it is not easy to use, it is available for USB phone to charge without battery. Of course, up to now, we are no longer under the limitation of USB power cord when having a phone call. And there comes to be another device, called USB phone adapter, which can turn a normal phone into a Skype phone magically. As long as the Internet is available to users, we can enjoy ourselves to the multi-network communications. If the phone is of high voice quality, we can have a phone call with others, normally more than two contactors can be accepted, just as they are around us. If you are still troubled by the Poor Signal Inception from iPhone 4 or not satisfied with their response, you can go for a Skype phone. And I believe you’ll fall in love with it after trying it out.